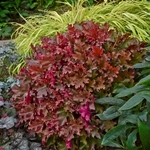 Heuchera 'Cinnamon Curls' forms a tidy, compact, rounded mound of glossy, leathery, dissected leaves with ruffled edges. 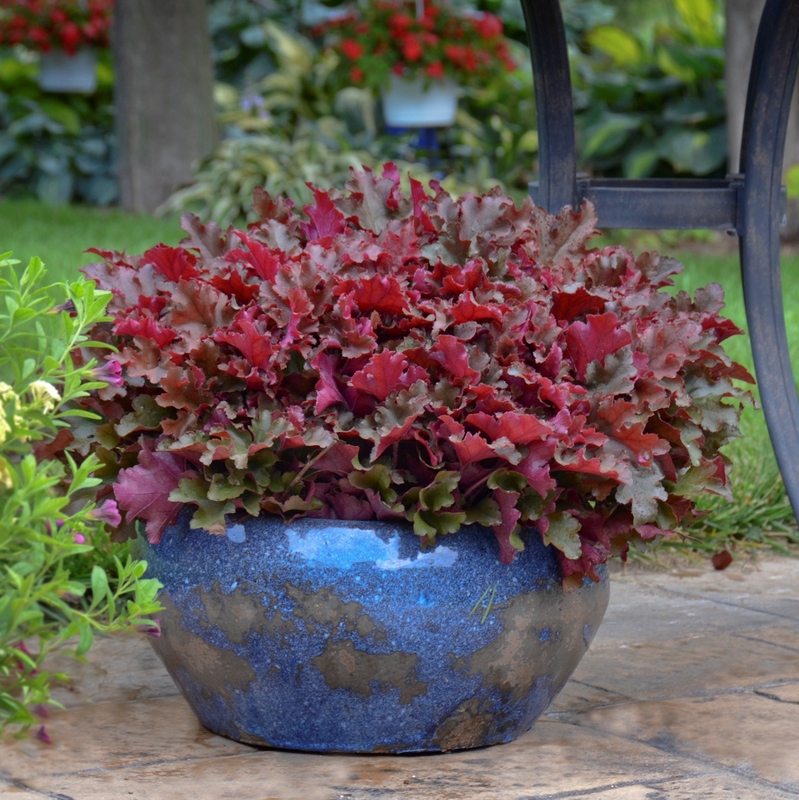 They are a unique blend of coppery orange, red, and purple tones on the top and brilliant magenta red on the undersides of the leaves. 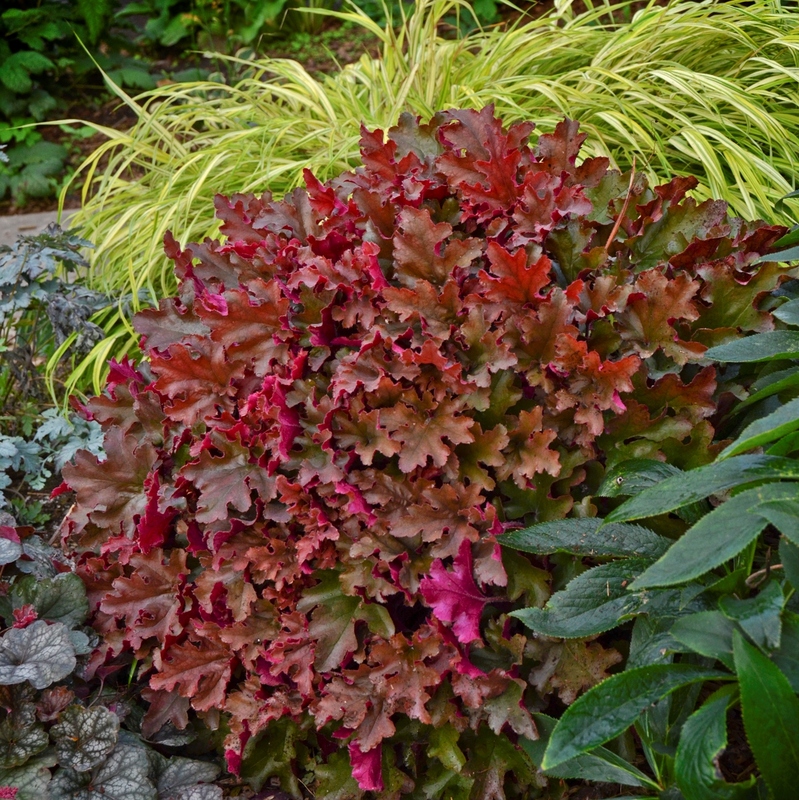 A new Proven Winners coral bells. 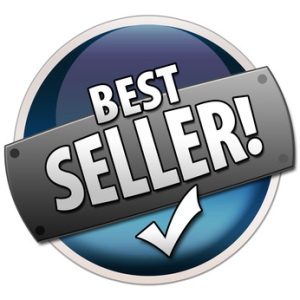 PP#25647. Photos courtesy: Walters Gardens, Inc. MATURE HEIGHT: Foliage 8-12". In bloom 18".